At Edgar Snyder & Associates, we've seen too many times the devastation caused by spinal cord injuries that could have been prevented. We encourage you to learn some simple prevention tips, and share them with your friends and family. 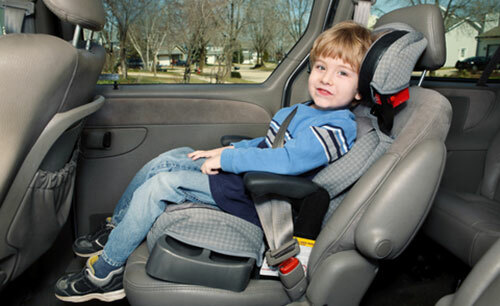 If you have a child, be sure to restrain him or her properly with a car seat, booster seat, or safety belt. Children's necks are especially vulnerable in a car accident, because they're not fully developed. Not sure which safety seat you should use? Read our safety seat guidelines. Never drive while under the influence of drugs or alcohol – and never get into a car with someone who isn't sober. Drive defensively, and be alert for other drivers. Spinal cord and neck injuries are two of the most common injuries that happen due to auto accidents. Keep all walkways and hallways free of clutter, and watch for tripping hazards – especially when going down stairs. Clean up spills on wooden floors, linoleum, and other surfaces that become slippery when wet. Use nonslip mats in the bathtub and in the shower – and install handrails when necessary. Have proper lighting in your home, and use night lights throughout the house. Check your window screens to be sure they are safe and secure, so that children are not at risk for falling out of open windows. Use safety gates at the top and bottom of stairs when young children are in the home. Never stand on the top platform of a ladder, and never use a ladder alone. Be cautious when working from heights. When out in public, pay attention to where you're walking. Watch for slippery surfaces or unexpected level changes, especially near stairs or escalators. Always cross streets in crosswalks and watch for vehicles not yielding to pedestrians. It's better to wait than trust the driver to stop. Always wear protective equipment when riding a bike, motorcycle, scooter, ATV/UTV, etc. Wear a helmet when roller skating or roller blading. When playing contact sports like football, ice hockey, or boxing, never "lead with your head." Wear protective gear when horseback riding, playing baseball, and skiing and snowboarding. Take lessons when possible to learn how to minimize your chances of injury. Never dive into a pool under 6 feet deep, and never dive into a body of water where you don't know the depth. Don't run around a pool area -- too many swimming pool accidents happen that way. Never play sports or participate in a recreational activity while under the influence of drugs or alcohol. Your reaction time is slower and you are likely to make bad decisions, which can cause serious injury. If you, or someone you know, suffered a spinal cord injury in an accident, Edgar Snyder & Associates can help. You may have a case. For over 35 years, we've helped thousands of injured accident victims get the money they deserve – including many with spinal cord injuries. Call 1-866-943-3427, or fill out a no obligation, free legal consultation form at the top right of this page. Phones answer 24/7. Contact us now.